I feel like this stew is the ultimate compromise. It has meat for the staunch carnivores. It has plenty of vegetables for the health conscious. It’s spicy, but it won’t cause anyone to break out in a sweat. Its versatile enough to modify more as needed—my sister can omit the potatoes, black beans can be swapped for another type, or chicken breasts can be used instead of thighs. Best of all, you (the cook) don’t have to do more than dump a bunch of ingredients in the slow cooker and let it work its magic. It’s perfect the day its made, although Ryan claims it was even better when we pulled out the leftovers a few days later. Start with this base recipe and adjust to your heart’s desire. 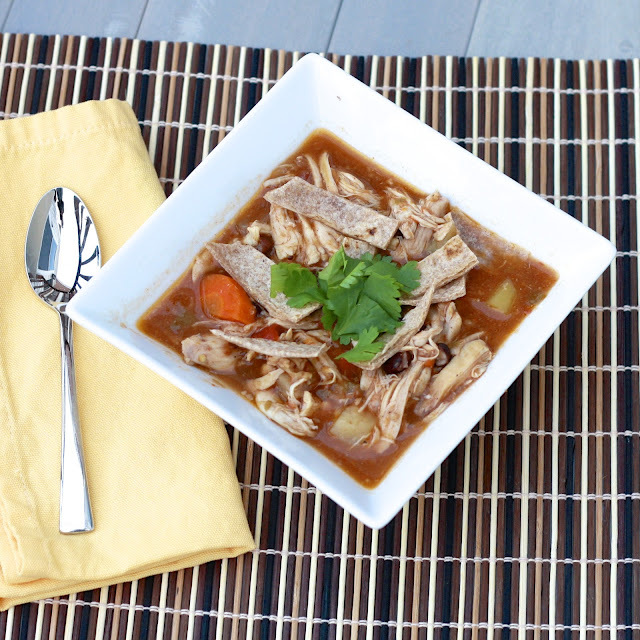 You can’t go wrong with any variation of this stew and I have a feeling it’ll become a regular in your kitchen rotation! 1. Place potatoes, carrots, onion, garlic, salt, black beans, and spices in the slow cooker. Add chicken and chicken broth and stir to combine. Cover and cook on low for 6-7 hours or high for 4 hours. 2. 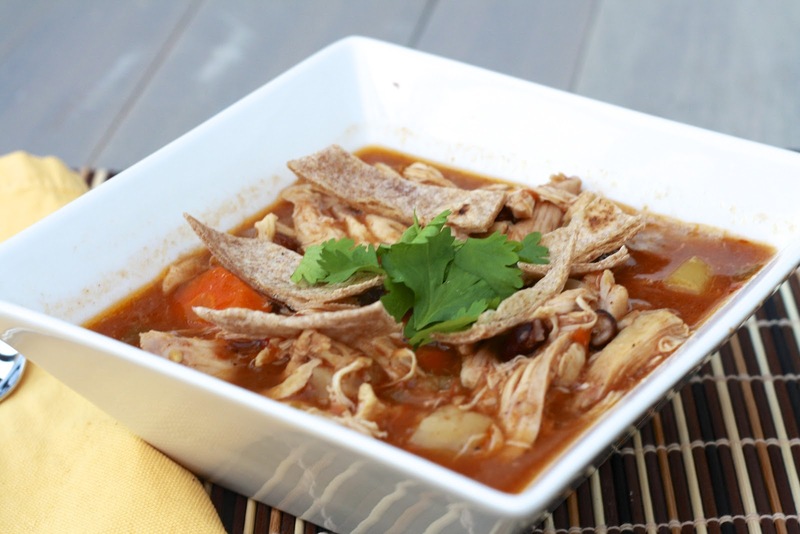 Remove chicken and shred before returning to slow cooker. Top individual bowls with sour cream, avocado, and cilantro, if desired.